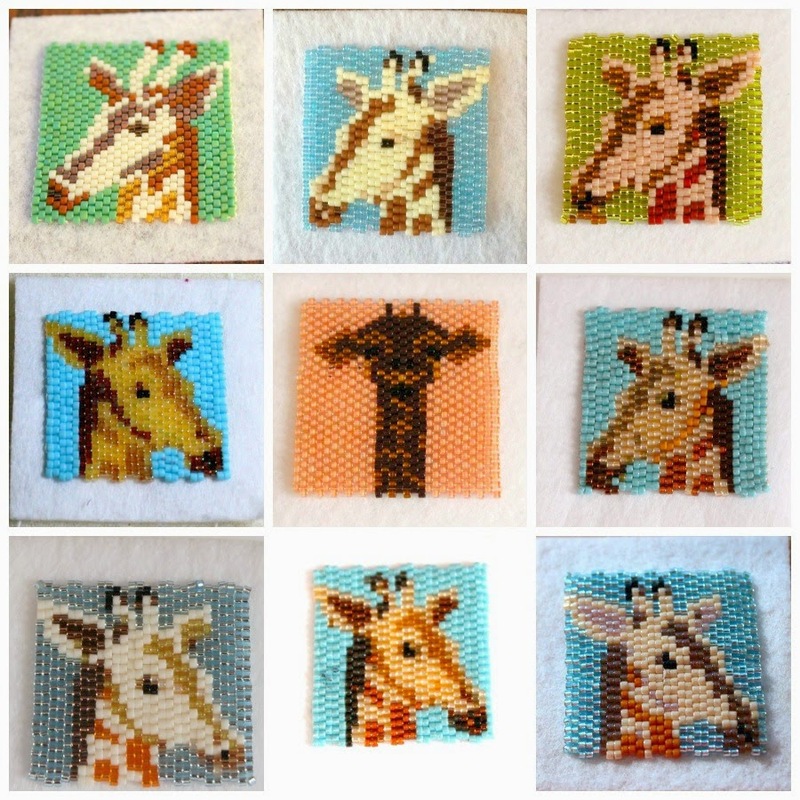 The giraffe pattern was the first pattern to be posted on Bead-It-Forward's pattern page. We received lots of giraffes. Many of that first pattern. And some great originals! As usual, it's so fun to see the different colors and finishes that each beader chooses to work up a pattern. ....oh! 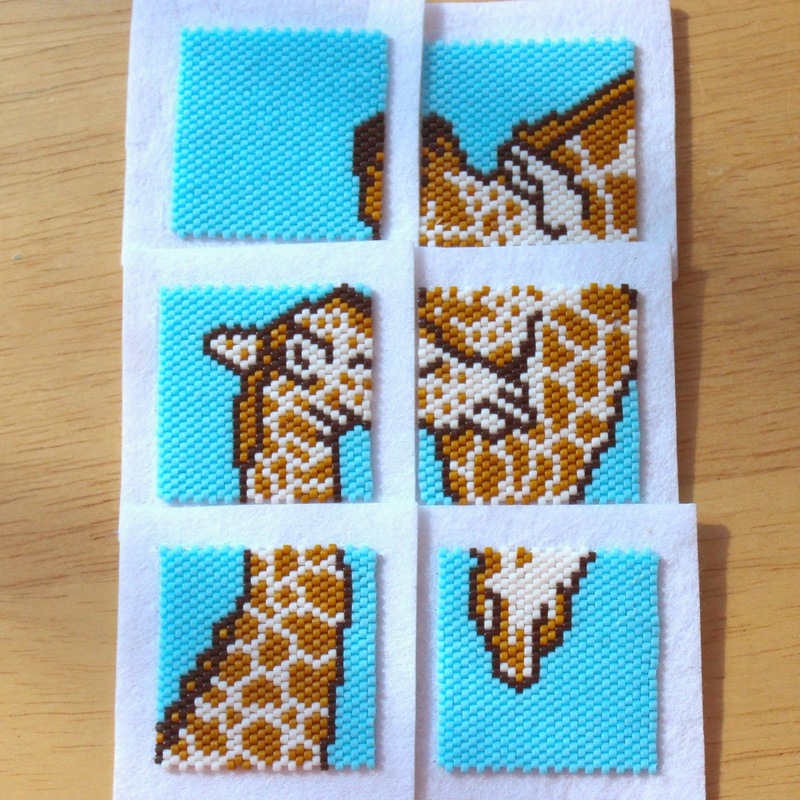 and this great giraffe mosaic! This mosaic was sent in from June, of New Mexico, who is a breast cancer survivor. Come by tomorrow for the letter "H". And to check out other A-Z Bloggers, click here! Wow Amy, you are doing so well on the Blogging from A-Z! I just love seeing the Bead-It-Forward squares - what a terrific idea. The giraffe mosaic is really special. Also for the letter "G" is Great - just like you! Visiting from A to Z. I just adore these. Especially the mosaic. Thank you for sharing these. I look forward to seeing more. Hi Amy--I'm not doing the Challenge this year, but visiting a few folks I followed in the past, including you. Absolutely love these mosaics; I've seen some of them in progress but to see so many fantastic ones as part of the challenge is wonderful. Thanks for sharing them! Hi from a fellow A to Z-er. Nice bead work, Amy! I am playing catch up. The giraffe patterns are so cute. I did one of the first one posted and was going to do the one of other ones posted, but ran out of time. I think giraffes are so cute maybe that is why so many chose to do them.